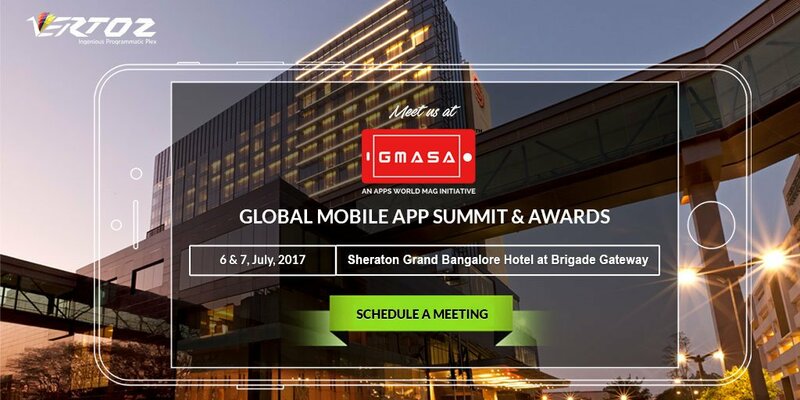 Vertoz attended GMASA 2017 at Bangalore between 6th- 7th July 2017. Mobile is the hottest industry right now and we were enlightened about the exciting news on the future of the mobile industry. The event was attended by app developers, marketers and managers, and also by the top-level decision makers and executives of some of the most dynamic companies of the industry. There were panel discussions on how to thrive in an ever-crowded marketplace and how to cope up with the ever-changing and evolving industry. Healthy discussions on the current and latest topics by the keynote speakers were quite helpful. The networking opportunities were amazing.